FREE delivery to United Kingdom in 1 - 5 working days. Embrace is an award winning piece of furniture, designed to store modern media such as DVD’s, CD’s, Books and Magazines. 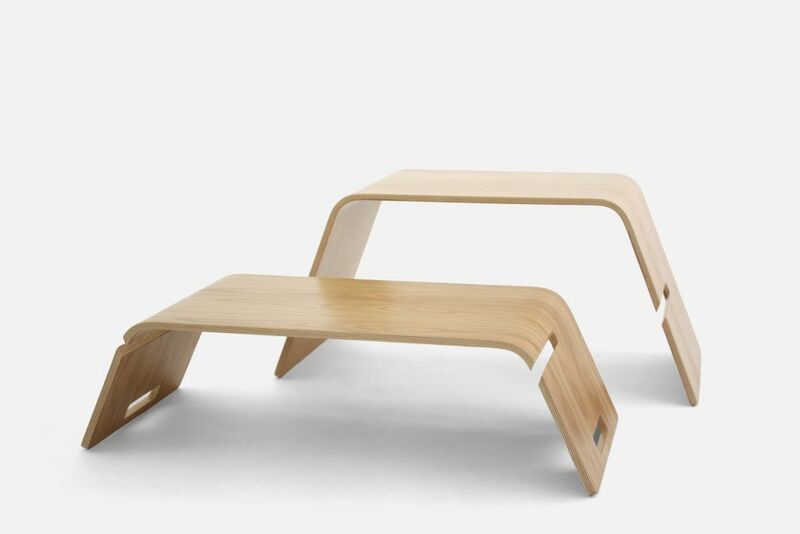 This smart piece of furniture naturally forms two low modern tables that are then ‘embraced’ together in order to form a storage unit / magazine rack / occasional table. Whilst apart the small tables also function well as a laptop table, a bench and desk for kids or even as serving tray for breakfast in bed. Each unit is numbered, stamped and signed upon completion. On top of developing products for his own brand, John works as a freelance designer, collaborating with other designers and manufacturers.